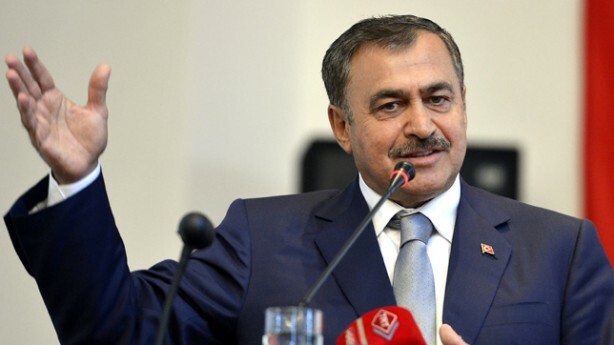 Turkish Forestry Minister Veysel Eroğlu said on Wednesday that US-based Turkish Islamic scholar Fethullah Gülen would “end up dying in the US and be buried in a Jewish cemetery,” the Hürriyet Daily News reported. “There is nothing left for FETÖ [a derogatory term coined by the Justice and Development Party (AKP) government to refer to members of the Gülen movement]. The US is also bidding it farewell. Gülen will end up dying in the US, and he will be buried in a cemetery with Jews [as opposed to a proper Muslim burial],” said Eroğlu while speaking at Parliament on Dec. 7. Gülen and the movement he inspired have been experiencing immense pressure from the Turkish government, the president and pro-government circles over the past several years. “Jew” and “Christian” have been used as derogatory terms by the government and government media in reference to the movement. The pro-Erdoğan media also portrays Gülen as working for the CIA and MOSSAD as well as the Vatican. The pro-government Takvim newspaper ran a lead story on Oct. 8 claiming that Gülen holds a passport from the Vatican since he receives instructions from the Catholic Church. An indictment prepared by an İzmir prosecutor against individuals who were arrested over alleged links to the faith-based Gülen movement includes the claim that Fethullah Gülen was appointed as a secret cardinal by John Paul II in 1998. The government accuses the Gülen movement of masterminding a corruption probe that became public in late 2013 in which senior government members were implicated as well as a failed coup attempt on July 15 that led to the killing of more than 240. The movement strongly denies any involvement in either of the incidents. Gülen is a peaceful cleric who has been living in self-imposed exile in Pennsylvania since 1999. He promotes educational activities and interfaith dialogue and has attracted huge criticism from radical Islamic circles for his promotion of dialogue among religions and his meeting with John Paul II in 1998.